Bring the kids (in costume!) 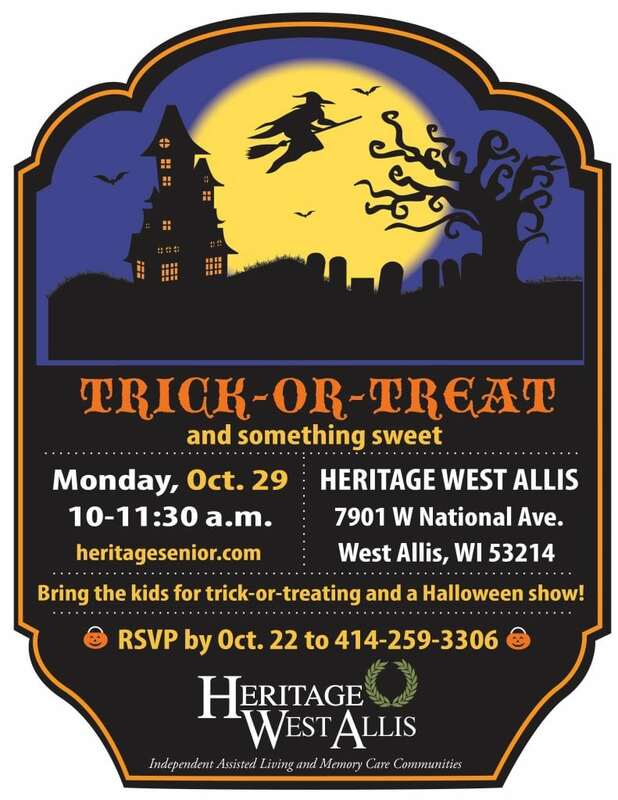 for trick-or-treating at Heritage West Allis, followed by a special Halloween show. RSVP by October 22.